After a long CoRBA campaign to achieve electoral reform in the City of Melbourne, we are finally to have our first Electoral Representation Review (ERR). The ERR aims to ensure that there is fair and equitable representation in the City of Melbourne. Now let’s tell the government what we want! We encourage all residents and businesses to make a submission – as groups and/or as individuals. To assist you, below is a simplified list of considerations upon which to base your submission. What is an Electoral Representation Review (ERR)? An ERR is a process by which the government through the VEC will consult with the voters and review two municipal electoral matters. 2.The electoral structure of the municipality; Whether Wards should be reintroduced or not. So your views are being sought. Number of councillors – How many do we actually need in Melbourne? Currently we have 9 councillors including the Lord and Deputy Lord Mayor – There can be up to 12 but an uneven number helps reduce tied vote situations. •Size, diversity and projected growth of the population in Melbourne; the more social diversity or the higher projected the growth rate, the more councillors are required. •How in-tune can your councillors be with local concerns? 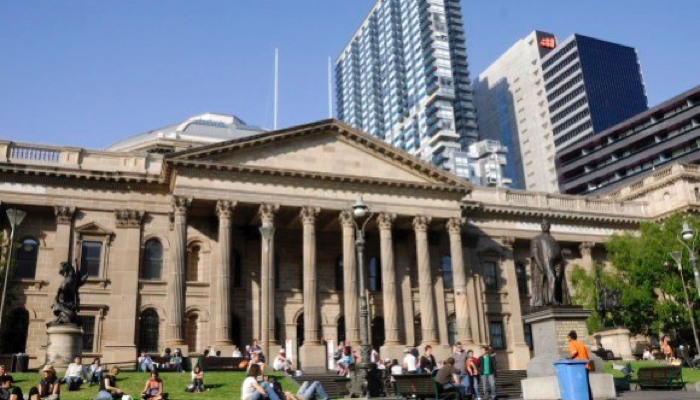 – currently in Melbourne, Councillors have ‘portfolio’ responsibilities not Ward responsibilities. Electoral structure – how should it operate? Un-subdivided- Melbourne is not currently divided into Wards – councillors are elected by all voters. Should there be one Councillor per Ward? Should there be several Councillors per Ward? What about other options? eg; some Wards might have several Councillors while others have only one. Should all Wards in Melbourne have a equal spread of population when 60% of voters are not residents? •Are there communities of interest, where people are likely to share a range of common Ward concerns or issues – eg. does Southbank more in common with Docklands or the CBD or West Melbourne? •Are there common geographic, economic or cultural links within Wards e.g. is Carlton more like North Melbourne or East Melbourne than Docklands? •Are there geographic factors, such as size, road barriers and topography? •Are there easily identifiable boundaries – e.g. historic, transport routes, rivers, gardens etc? If you reflect on some of these issues – you are likely to find that you have significant comments to make to the review. It’s our review – Lets use it!! Submissions are due by November 24th 2011. But keep writing!